Glen Huey is a friend of mine. We happened to meet at a media event right after he was hired to write for Popular Woodworking magazine…the first time. He had taken some time off to work on a large commission project and recently returned full time to PopWood. Glen and I share a common-sense approach to woodworking. Except that he has a lot more skill and knowledge than I do, especially when it comes to building reproductions of 18th-century period furniture. He is a master craftsman. So it was refreshing and encouraging to me when I read this post by Glen about building drawers for his workbench. No fancy dovetail joinery. He used what he calls “dado and rabbet” joinery, or what I call tongue and dado. A tongue on each end of the drawer fronts and backs fits into dadoes cut into the drawer sides. 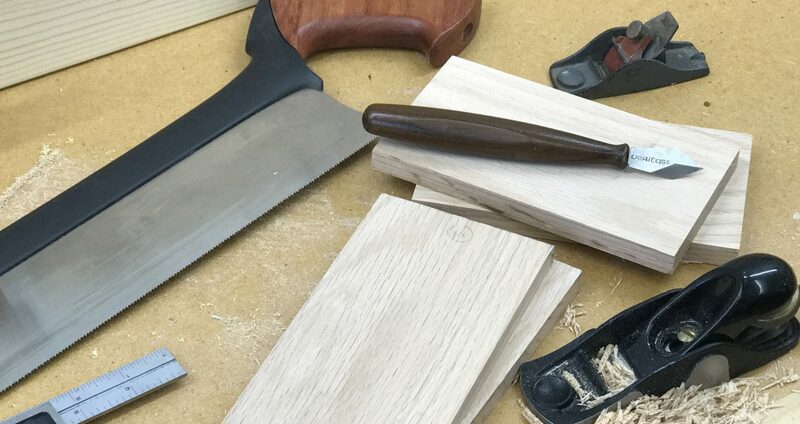 It’s a simple joint to make and, as Glen explains, once you get the setup tweaked on the table saw, you can cut perfect-fitting joints quickly. Not long ago I was in Amana, Iowa and saw a pair of apothecary cabinets in an antique store. These cabinets were about 3-ft. wide by 6-ft. tall. They were full of drawers that were only a couple inches high. I pulled one of the drawers out, and guess what joinery they used? Tongue and dado. And here’s the clincher (pun intended): They used finish nails to reinforce the joints. I thought perhaps this had been done later as a repair but every single drawer was built this way. Imagine that! Craftsmen using nails in a fine piece. This inspired me so much I had to write an article about nails for ShopNotes No. 131 (page 12). So, when I build drawers, I’ll more than likely use tongue and dado joinery. And nail them in addition to gluing them. Who besides me is going to notice? Posted on September 1, 2013 September 2, 2013 by Randy MaxeyPosted in Custom Furniture, Fine Woodworking, WoodworkingTagged craftsmanship, Furniture, Woodworking. Previous Previous post: Collaborative. Creative. Communal Woodworking.